The tentative $13 billion settlement that the Justice Department appears to be extracting from J.P. Morgan Chase needs needs to be understood as a watershed moment in American capitalism. Federal law enforcers are confiscating roughly half of a company's annual earnings for no other reason than because they can and because they want to appease their left-wing populist allies. The settlement isn't final and many details weren't available on the weekend, but we know enough for Americans to be dismayed. The bulk of the settlement is related to mortgage-backed securities issued before the 2008 financial panic. But those securities weren't simply a Morgan product. They were largely issued by Bear Stearns and Washington Mutual, both of which the federal government asked J.P. Morgan to take over to help ease the crisis. So first the feds asked the bank to do the country a favor without giving it a chance for proper due diligence. 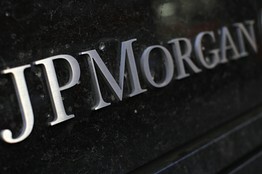 The Treasury needed quick decisions, and Morgan CEO Jamie Dimon made them in good faith. But five years later the feds are punishing the bank for having done them the favor. As Richard Parsons notes nearby, this is not going to make another CEO eager to help the Treasury in the next crisis. But more pointedly, where is the justice in such ex post facto punishment? Then there's the fact that $4 billion of the settlement is earmarked to settle charges against the bank by Fannie Mae Mae and Freddie Mac. We are supposed to believe that the bank misled the two mortgage giants about the quality of the mortgage securities they were issuing. But everyone knows that Fan and Fred had as their explicit policy the purchase of securities for liar loans and subprime mortgages to further their affordable-housing goals. Those goals went far to create the crisis, but now these wards of the state are portraying themselves as victims.